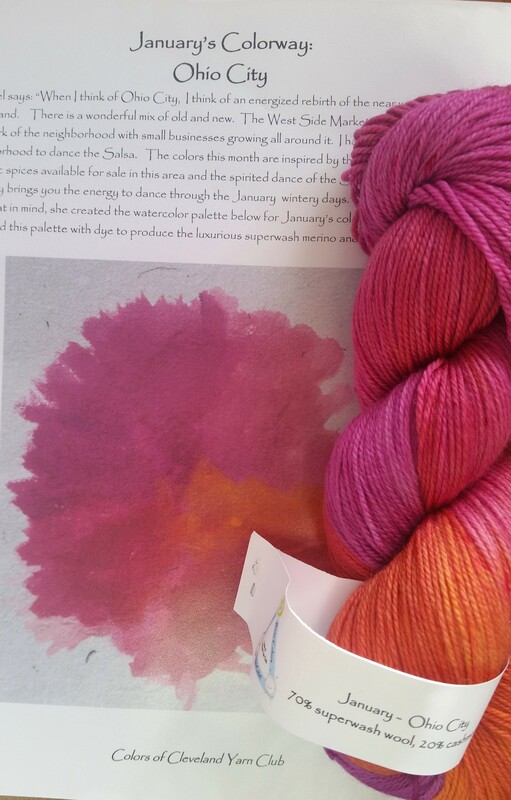 Toward the end of December us yarn club members got teaser blog post about January’s yarn. (You can read it here). It included some fun facts about the neighborhood I did not know before reading it. The tidbit that gave it away for me was that it is home to Cleveland’s only hostel. Ohio City borders downtown Cleveland is home to a wide variety of people and places. It is a neighborhood that continues to revive itself. The main jewel of the neighborhood is the West Side Market which is one of the top sights to see on a trip to Cleveland. It is also home to Great Lakes Brewery, a place that I can always count on when I have to entertain out of town guests for a great Cleveland experience. Some of the guests have even been converted to Great Lakes fans! 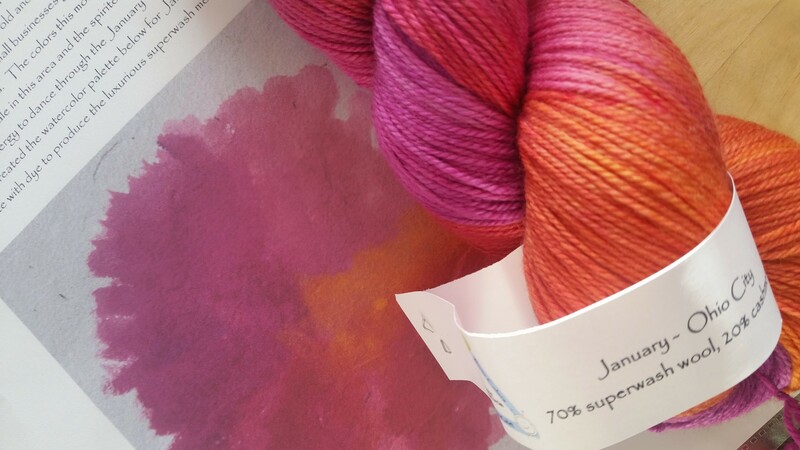 Oh, did I mention this month’s yarn is 20% cashmere??? It’s a delightful yarn and the colors are fabulous! One of the suggestions for this yarn was the Clincher which is in my favorites but when I mentioned it at the knitting table a couple of gals who knit it strongly discouraged me as they do no like the way it wears. So, I’m still on the fence. Anyone else out there knit it? What are your thoughts? In the meantime, it will hang out with the previous month’s colors. I’ve been searching for a good pattern that would use at least some of each month’s yarn to make a “Cleveland” project. Right now, I’m leaning towards Dotted Rays by Steven West. I’ve seen that done in some fantastic color stripes. It would use all of some month’s and only some of others so I think it might be a keeper. One of these days I need to spread out the colors we have received so far and see how they look. If I do Dotted Rays I want to get a neutral solid to stripe between colors. Here’s what we have received so far! I think December is definitely my favorite colorway and January has been my favorite base. The cashmere really makes it so very soft and cuddly! Can’t wait to see what February brings! Wow! Love January’s color way; so nice to see some COLOR this time of year. I agree! I might use it for Ysolda’s née mystery KAL – stay tuned!